Florentino Perez wants to sign Eder Gabriel Militao from Porto. According to Spanish media outlet Marca, Real Madrid are eyeing a summer move for Porto star, Eder Gabriel Militao, who is currently enjoying a successful season in the Portuguese League. The 21-year-old defender is currently with Portuguese side Porto and is on the latest of Brazilian talents to emerge and gain the attention of most of the elite clubs in Europe. The fact that it only took months to generate huge attention from European clubs depicts his potential. Eder Militao, who is a natural right-back, moved to a central position and shone with Porto throughout the season. He earned comparisons with Sergio Ramos due to his efficiency as a centre-back, despite being a natural right-back. Porto signed him for €7 million from Sao Paulo and he has been vital for them since his arrival, helping them qualify to the knockout rounds of Champions League this season. He has featured in most of the games for Porto, scoring 3 goals and assisting one despite being a defender. The Brazilian talent has a rare combination of raw pace, intelligence, and agility which makes him one of the players to watch out for in the near future. Real Madrid are determined to sign the talented defender from Porto and are ready to pay €50 million to secure his services. According to the report, many clubs are interested in Militao but Los Blancos were fast to make their move and are leading the race to sign the defender. Madrid are so close that only the signature of the player is keeping him away from joining the Bernabeu outfit. Madrid are looking for new youngsters to revamp their squad and increase the team's depth. 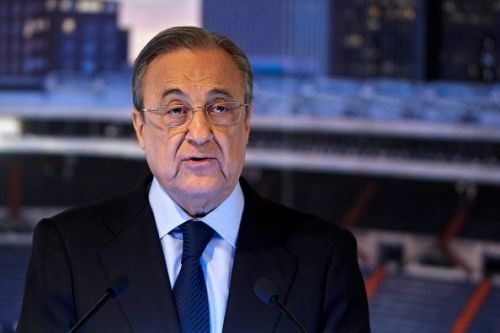 Florentino Perez is determined to bolster the squad with new signings and Militao's arrival will only increase the strength of Los Blancos. Real Madrid will play against Levante before facing FC Barcelona twice in the coming weeks. Despite their recent loss to Girona, Santiago Solari will be confident to turn the tables against their arch-rivals.